I thought it might be amusing to post some pictures of Bob looking awkward, grouchy, or just good ol' misanthropic. (He's not exactly the dude who practices his smile for the camera.) If he happens to look really awkward in the presence of other celebrities, so much the better! As this is a photo based thread I've moved it to the appropriate location. I came across this on a FB page named "Bob Dylan is not amused"
Last edited by a.complete.unknown on Sun June 18th, 2017, 10:27 GMT, edited 1 time in total. The photo was taken by Allen Ginsberg. I believe it was 1990. But I could be wrong. MUSIC legend Bob Dylan could soon be playing Like A Reel-ing Stone — after splashing out on a set of bagpipes. 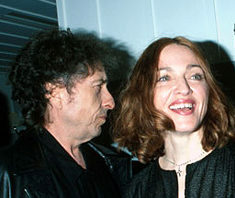 I think you're right, it's at least saved in my 1990's Dylan picture folder. 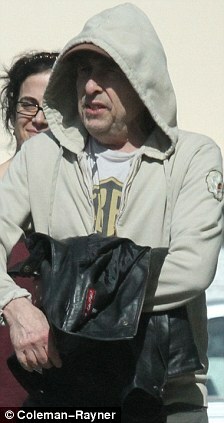 Wow, creepy stalker Bob. Yikes. 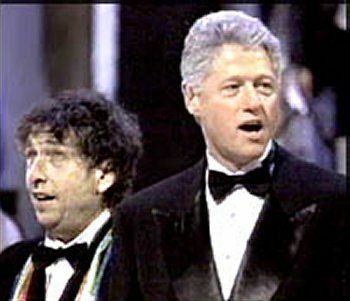 How about the video of Bob handing the Swedish king the Polar Prize in order for the king to hand it back to him? I guess so. Those pics always fascinated me. They were such good friends (though you get the notion that Bob's somber personality and Ginsberg loud and "colourful" personality didn't quite gel). I wouldnt be surprised if Ginsy decided to capture Bob's bad mood as some artistic expression rather than have him pose in any traditional way. 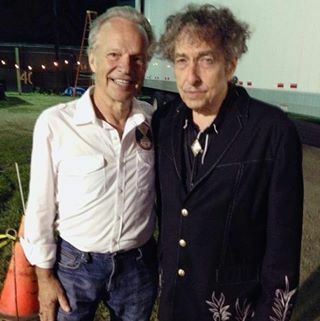 I can't imagine Bob would concede to have his picture taken, even by a friend, against his will. No mention of it in the superb Ginsberg biography, but I can re-check.